I want all my patients to feel like they are part of my family. 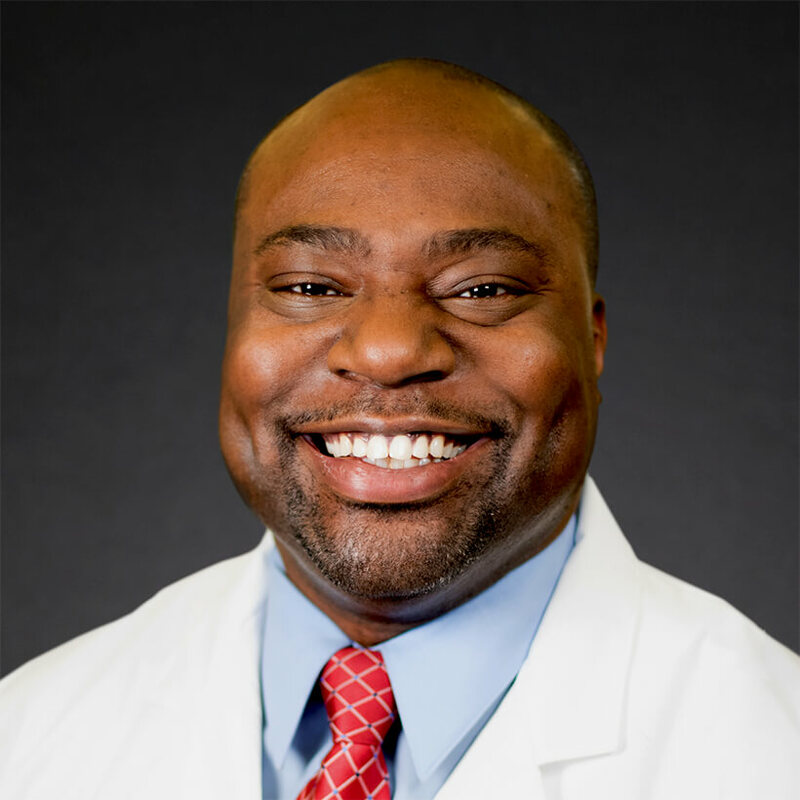 A graduate of Morehouse College, Dr. Durden completed both his Bachelor of Science and Doctor of Medicine degrees there before pursuing several years of postgraduate training. He completed an Internship in General Surgery and a Residency in Otolaryngology at Emory University School of Medicine. He completed a residency in Plastic & Reconstructive Surgery at the University of Nebraska Medical Center, followed by a fellowship in microsurgical reconstruction at The Ohio State University School of Medicine Wexner Medical Center. His fellowship also included a month-long visiting scholar training in reconstructive microsurgery at Chang Gung Memorial Hospital in Taiwan. Dr. Durden also held several academic positions during his medical training. He served as Assistant Professor of Plastic & Reconstructive Surgery at both The Ohio State Wexner Medical Center and University of Nebraska Medical Center, where he helped direct the program for this specialization. He has also served as a faculty advisor to medical students interested in plastic surgery. Dedicated to advancing the field of microsurgery and other aspects of reconstruction, Dr. Durden has published several studies in leading journals. He has also presented educational sessions on many areas of reconstructive surgery during his medical career. Dr. Durden is Board Certified in Plastic Surgery by the American Board of Plastic Surgery and in Otolaryngology by the American Board of Otolaryngology. He is a member of the American Medical Association, the National Medical Association, the American Academy of Otolaryngology and the American Society for Reconstructive Microsurgery. He is licensed to practice medicine by the States of Georgia, Ohio and Nebraska. Dr. Durden enjoys volunteering his time and expertise to better patients’ lives. Along with participating in fundraising walks, he has organized educational meetings and volunteered with the Head and Neck Cancer Alliance, the Yul Brynner Head and Neck Cancer Foundation, City of Hope and Health Care Equality in the Life of Every Person. He has served as a mentor to medical students and with the YMCA, as a tutor with the Sickle Cell Foundation, and as a companion to residents at an elder care facility. Dr. Durden joined CTCA in October 2015. His work focuses on the reconstruction of wounds related to trauma and a broad range of cancer types. His care integrates a wide spectrum of techniques, including grafts, local-regional tissue transfer and microsurgical tissue transfer. He is particularly interested in using muscle-sparing perforator flaps for breast cancer patients who are not candidates for or do not want implant-based reconstruction or patients who were unable or chose not to have reconstruction at time of mastectomy. “It is my hope that my care will assist patients in living a functional, normal and enjoyable life after their cancer treatment,” says Dr. Durden.